It's an exciting week in c-dramaland if only for the number of finales and premieres. Catching everyone by surprise is Investiture of the Gods which has broken past 1% in CSM55 ratings on its first week! For a show that's being flayed on user-rated site Douban and airs at the less-watched late evening slot, it's no easy feat. Nice To Meet You continued to rank in first on TV on its final two days of airing while Youth Fight which also just ended ranked as the top drama online. Pushing Hands, Youth Fight and If I Can Love You So are neck and neck as the three shows hit the 1% mark at varying times. In Youth which stars many Jaywalk Studio artists comes close with CSM55 ratings of 0.857%. 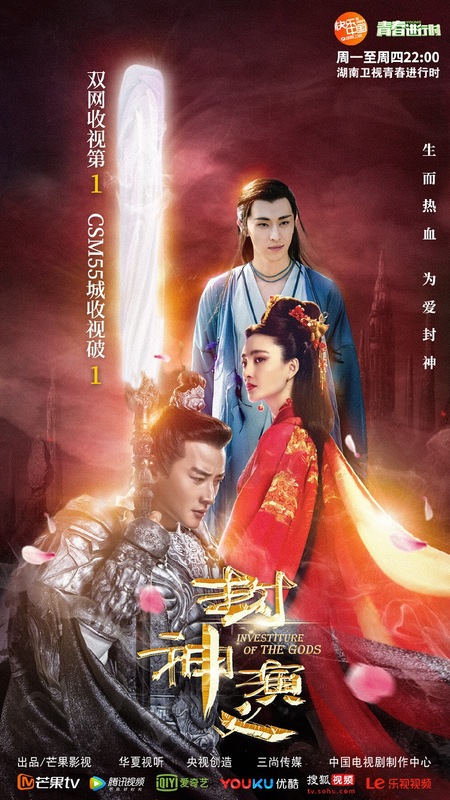 The Legend of White Snake stars Ju Jingyi and Yu Menglong leaped onto the weekly rankings to land in 1st and 3rd while their drama settled for 8th place. 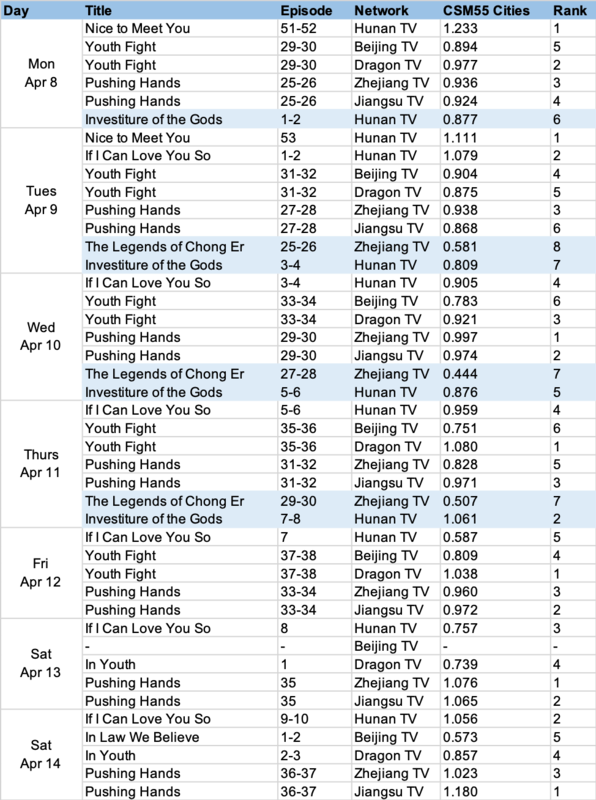 Deng Lun has made it back to the top 10 likely on account of being in Investiture of the Gods (currently in 3rd online) and being a variety regular in The Great Escape. Coming from the author of A Love So Beautiful, Put Your Head On My Shoulder lands in 10th. Well the fox is doing great. I'm just waiting on the subtitles, even the Chinese subs.